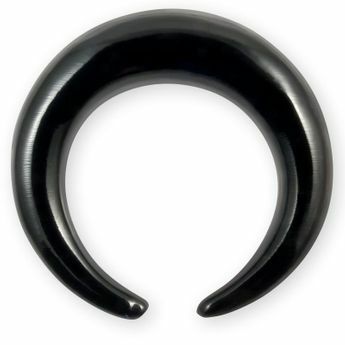 Since for these claws in sizes 12 and 14 mm the horn as raw material are not always available they will be produced sometimes alternatively from Arang Wood (Blackwood). 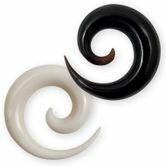 Jewelry made of organic materials (eg wood, horn and bone) by offering your best comfort and lightness in contrast to piercing jewelry made of plastics or metals, the odor when wearing massively reduced. 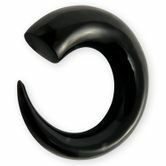 This item is available in various sizes and also custom-made in large sizes. During the normal use of the jewelry is safe but not sterilized.